Is there really a differentiation between good debt and bad debt? Is all debt bad? Dave Ramsey has often come under fire for advocating a debt free life in his book, “The Total Money Makeover” and on his nationally syndicated radio show. While being debt free is a very admirable and lofty goal that we should all try to obtain, it may not always be completely possible. I have taken out loans to buy a house or buy cars. It would have been nice to not have to make those payments and invest instead of course. What about taking on debt for student loans to go back to college? Are graduate school student loans better than loans for an undergraduate degree when going into debt? While taking out a loan for college expenses is often viewed as good debt instead of bad, it may not be as cut and dry as we may want ourselves to believe. Here are some considerations that you should make before taking out a student loan. One of the best things that you can do is start with the end in mind when you go to college. What interests you? What kind of career do you want to have after you get your degree? Believe it or not, it costs money to change your major in college. Many times credits that you have earned will not count towards your new chosen path which can delay your graduation several semesters if you are not careful. Start with your career in mind when you first get on campus and avoid extra classes and extra expenses when you change your mind. Is it worth it to go to an expensive college? Does the amount of student loan debt that you may have to incur to earn that degree from a prestigious university? Or, will you be just as successful with a degree from a state school? Like choosing the right major, picking the right school for the money can help you avoid saddling yourself with needless debt as you begin your career and post-college life. There may be other ways that you can fund college without taking a lot of loans. The US Department of Education can point you in the right direction when you are preparing to fund your education after high school. Are college loans good debt when going into debt? Maybe it is if you take on the student loans in a responsible manner. It should come down to what equates to a business decision. Getting a great education is an investment in yourself and your future earning, but there is a cap to the amount of return that you may receive in most cases. 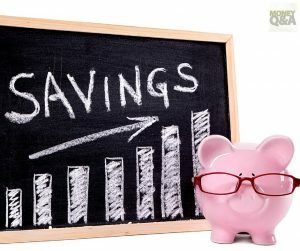 Can you get a good rate of return on your investment? Is it worth the amount of student loan debt that you may incur? Thank you all so much for all of the questions! Please keep them coming! What about you? 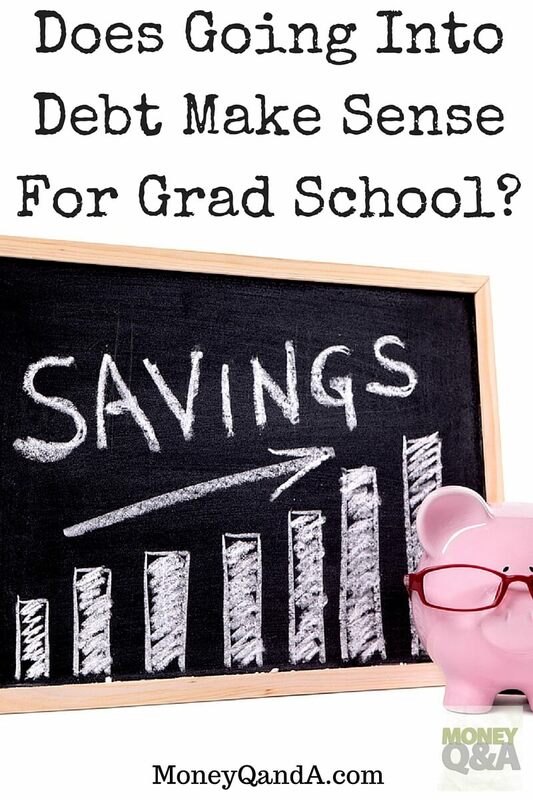 Does it make sense going into debt for grad school? Great post. You really need to look at your return on investment when considering loans for school. Although I don’t think there’s much harm in borrowing a reasonable amount of money to get a degree that will substantially increase your lifetime earnings, I’m hesitant to call any debt “good debt.” You can rationalize borrowing money for almost anything. A car that you use to get to and from work. New high end clothes to impress clients or superiors on your job. An expensive smart phone that allows you to answer customer emails 24 hours a day. The problem is that we are usually forced to make this decision while we are young and immature. At that age we usually don’t take into consideration how that debt will affect us in the long run. We assume that the degree will guarantee us a high paying job right out of school and that the debt will be paid off in no time. Something often gets in the way of that ideal plan though. Debt limits choices. There is generally a way to go to school more cheaply and/or free, it just takes more work to find and qualify. Most go in deep debt because of lack of financial education or probably just lack of research(not knowing there are other possibilities). The best way to go to college or grad school debt-free is finding scholarships. This is not an easy path but it’s worth the try. With my parents effort(Mama urged me to take a lot of scholarship exams), I was granted a scholarship in college. In grad school I got a partial scholarship. I’m not saying that student loans are not worth applying for. I just want to stress that it should be the last resort. Lots of Americans now are still paying their student loans and are struggling with their family finances.